Pro Tools | Some People Use Autotune - Get Over It! 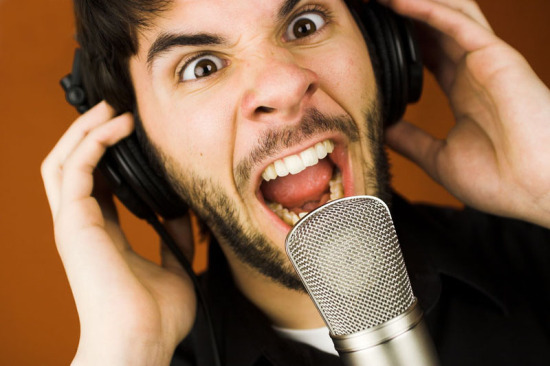 Some People Use Autotune - Get Over It! A Russ rant. I’ve been having some interesting conversations recently with those close to top recording artists, many of whom endorse products. What is interesting is that you may find them doing interviews in print or on camera about their other product endorsements, but unless it’s T-Pain then you have more chance of making cheese from old lego than getting them on record about using autotune. There seems to be a stigma when it comes to using autotune. Now I know some of you reading this think that the devil designed autotune and that it’s simply an excuse for a lack of talent, but that thinking is utter rubbish. In my experience, some of the most talented vocalists on the planet use autotune, conversely some talent less individuals do not use autotune. Yes there are some people who use technology to cover their deficiencies, but if I’m going to be picky then modern recording is simply using technology to make things sound better than they often are. Those who suggest that autotune equals bad are thinking in absolutes, yet when we get relative and think about the use of guitar tuners, metronomes, mixers, outboard, audio editing, quantise, sequencers, samples, drum machines, etc. - then the stuff we use to give us a helping hand is a long and ever-increasing one. If we are really honest we all use assistance to get the final result to one degree or another, DAWs being a prime example - unless of course you use a DAW as nothing more than a glorified tape recorder. Furthermore if you feel so strongly about the use of technology to enhance and improve performances then I’d suggest you stop watching movies and TV - what the moving picture goes through before hitting the screen as it goes from rushes, offline, online, VFX and grade is often huge - it makes the actors look amazing. Is it cheating, does it suggest the actor has any less talent or that the DOP does not know how to chose lenses or light a scene? Of course not, it’s simply using technology to achieve the end result. My favourite story on the use of video post production was when I was sent a pop video (name withheld to protect the tiny) and the record company were upset because there was a scene where the rapper was smaller than the two female dancers he was walking with, typical record company silliness. So a genius Smoke and Flame operator called Brian and I had to sit in an edit suite and make the rapper 4 inches taller. If you wonder how that is done it involves the tedious rotoscoping of each frame and then some stretching and compositing of the new image, remember that there’s 25 frames a second! It would have been easier had the camera operator simply shot at a more flattering angle in the first place, but sh*t happens and things get missed. I don’t sell autotune and I hardly use it. When I do use it then it will be used to smooth out a couple of notes in an otherwise great vocal performance. Some may suggest that I should have the vocalist stand there all day until they get it right, or drop in until they hit the note, but surely that’s cheating too? I know of entire albums where the vocals have been assembled as drop ins, one word at a time, oddly enough by one of the best vocalists and live performers on the planet. Take ‘live’ albums, of which I’ve worked on more than my fair share, in most cases by the time they end up mixed the only thing left from the gig is the audience and perhaps the odd ‘hello London!’ dropped in for good measure - I’ve even seen extra crowd added to ‘live’ recordings because the original didn’t sound impressive enough. If you really want to rant about something then a more important discussion is the continually decreasing budgets that artists, producers and studios are given to make products to an evermore picky (and not necessarily discerning) audience. People want ‘perfection’ but the people commissioning it don’t want to pay what it really takes to produce excellent music, film or TV, so often those of us making the stuff have to use all the tools at our disposal to deliver it. This article is not really about autotune, that was the impetus for my rant after talking to artists that regarded the admission of its use as worse than heroin. This article is more about the snooty attitude in some camps towards technology that helps us deliver the final product. We may not choose to use some technologies, that’s fine, but those technologies are still used to create some excellent recordings. Rant over. Discuss.